Pantos, Christmas Crafts and Santa - Shepherds Bush and Hammersmith has it all! Whilst 2018 has been one of the most challenging I have known as an estate agent, it has also been one of the most rewarding. We have not rested on our laurels and have worked exceptionally hard to deliver the right results for our clients. We are fortunate to have an exceptional reputation which has meant we are recommended on most of our instructions. Some of the most challenging sales we have worked on over the past year have completed despite difficult market conditions. We have found that various circumstances (whether family, work or financial) have complicated transactions and added additional pressure on many of our clients to complete by the end of this year, I am delighted to say we have been able to deliver in every aspect. We have had situations were sales have been delayed due to weak property chains and online agents cutting corners leaving buyers feeling very much vulnerable. Kerr and Co have been delighted to assist. We helped one particular vendor navigate their onward purchase through to completion, a transaction that had many varied and complex issues to deal with and other firm of agents in the chain were not able to cope with the situation nor offer any pragmatic advice on how best to proceed. These variable market conditions have been far from perfect, but our knowledge, reputation, flexibility and hard work has resulted in many happy clients. It is that time of the year to enjoy a good pantomime. Well thankfully no one has to part with hard earnt money to watch one of the best out there – Puss in Boots and the 650 Thieves, or to give it its full title The Trials of Brexit through Parliament, featuring some of the best known villains to have ever graced the national stage of the House of Commons. The twists and turns of the sub plot have not failed to delight and thankfully we have only just reached a fairly lengthy interval with the second act due to commence after a long spell at the Christmas bar. The writers have a tough act to follow for the second half and I am sure they will include further twists and turns before the final curtain comes down to either rapturous applause or critical derision. My only criticism of this production is that it seems bereft of a good Fairy God Mother. Despite this, the property market in Shepherds Bush and Hammersmith, has proven to be more resilient than most areas of West London. We have increased our strong market share and accordingly to Rightmove are the number one agents for properties sold, properties on the market and have grown in other areas including property management and lettings. I want to thank all my incredible staff for always going the extra mile for our clients. What ever the press publishes - 2019 will offer property opportunities - if you need advice on your next move we would be delighted to help. Our new and exciting website is regularly updated with new properties all the time and we are already fitting in appointments for next year. 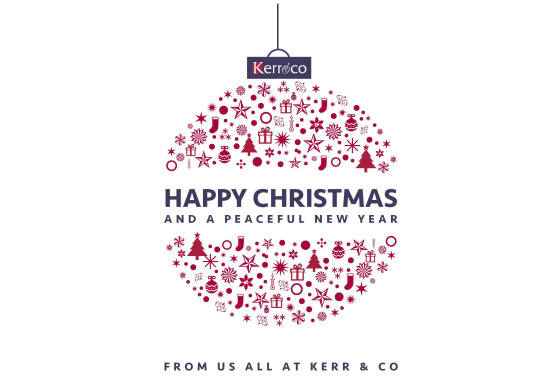 You can contact us on 020 8743 1166 / 020 8743 4332 or email sales@kerrandco.com or lettings@kerrandco.com or register on our website for new properties, you can also keep updated on news and via our Facebook and Twitter pages. Wishing you a very Merry Christmas and a very Happy start to 2019!